Welcome to the wonderful world of magic! From Family Guy, Brian and Stewie Griffin are up to their usual shenanigans! 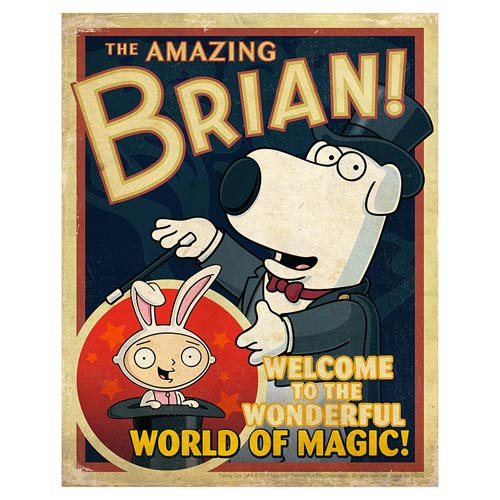 The Family Guy The Amazing Brian Lithograph Print is stylized as an advertisement for magician Brian, with Stewie as the white rabbit in a top hat! A limited edition of 395 hand-numbered pieces, this 13-inch x 19-inch print includes a certificate of authenticity.